How’s your Sleep? I needed a vacation from my vacation… catching up on all the missed sleep over the weekend! Favorite moment this week? The realization that 1) I’m 6 months along and 2) only 3 months left at work till maternity leave which is always a nice reminder the baby will be here shortly! Do you have any Food cravings? Continues to be breakfast foods… I’ve been thinking about this French Toast at a local eatery for weeks, my need to finally give into the craving this weekend! Mood? Good! We aren’t super busy in our life right now which makes it a lot easier for me to balance everything we do have going on. What are you looking forward to? Warm weather and wearing spring dresses. I don’t want to buy too many more winter maternity clothes because before we know it the weather is going to change and that’s when I can wear dresses again. I can’t believe that once summer comes we are going to have another baby; this pregnancy is really flying by! 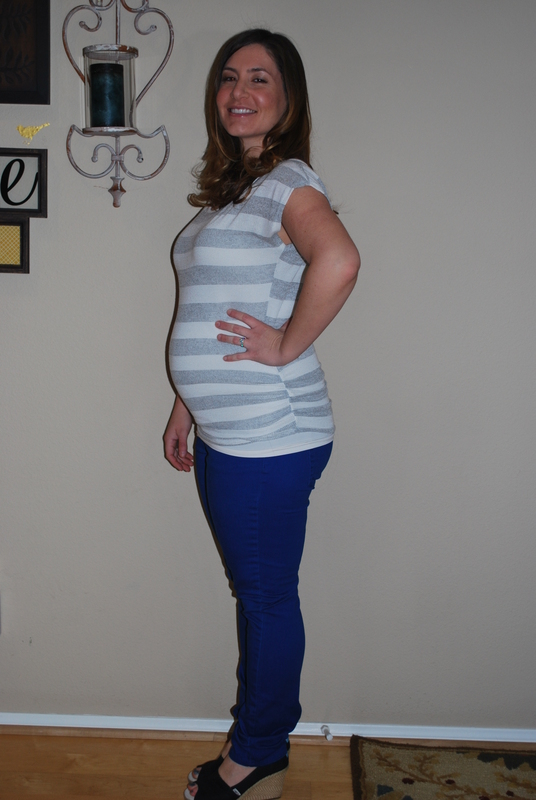 ← 23 weeks… and 100th blog post!